Our artists are also experienced teachers. They can help people of any skill level to elevate their craft. Beginners and professionals will both benefit from classes with Maniac Pumpkin Carvers. You will have a blast learning all about pumpkin carving as we help you find new ways to unlock your creativity, and make your creations shine. We offer a limited number of classes each season, but can also be booked for private or group classes. 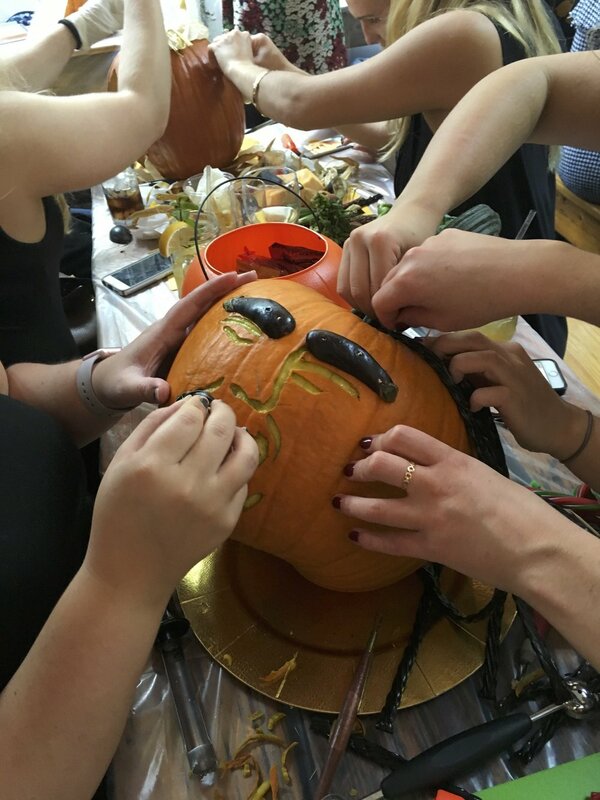 Our pumpkin carving classes/parties are also a great team building activity for corporate events!